A study by scientists Andrology in the Department of Gynecology and Obstetrics at the University at Buffalo School of Medicine in New York 2005 found that regular smokers of cannabis have less seminal fluid and lower sperm counts. The sperm were much more likely to swim too fast too early and were, therefore, too exhausted to reach their goal fertilization of the female’s egg. 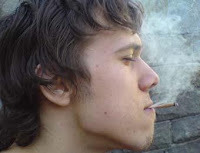 Cannabis smokers also produced less sperm and less seminal fluid. The findings from the study compared the sperm of 22 cannabis smokers and 59 fertile men. It is the first research that compares the sperm’s so called ‘swimming behavior’. The cannabis smokers were all ‘frequent users’, meaning they smoked cannabis an average of 14 times in one week over 5 years. Dr Berkman reported that it was unclear exactly why cannabis has such an effect on sperm. One of the possibilities is that the active ingredient THC (tetrahydrocannabinol) stimulates the sperm cells and disturbs their swimming. It may block mechanism that are designed to weed out (get it?!) malfunctioning sperm. Obviously many cannabis smokers father children. The researchers believe that if a man has borderline sperm counts cannabis smoking may ‘push them over the edge into infertility’. At the present time the researchers are unable to say how long it takes for the sperm to get back to normal if the drug is stopped. At present this is only one study with quite a small sample. Fertility does depend on a lot of other factors, exercise, diet, health of the individual, cigarette smoking etc. Further research is needed.